Little Innoscents 100% organic, natural baby products, essential oils and home cleaning and laundry selection are Australia’s trusted way to protect delicate skin. Every Little Innoscents product contains only natural, aromatic botanicals and gentle organic skin care ingredients. Safe, soft and bursting with sweet natural scents, Little Innoscents make baby bath time a pleasure, for mum and bub. Thank goodness for Little Innoscents. We believe that what we leave out is just as important as the wonderful skin loving natural ingredients we put in each product. We leave out artificial fragrances, parabens, phthalates, SLS, alcohol, talc, nano particles and petroleum derived ingredients. 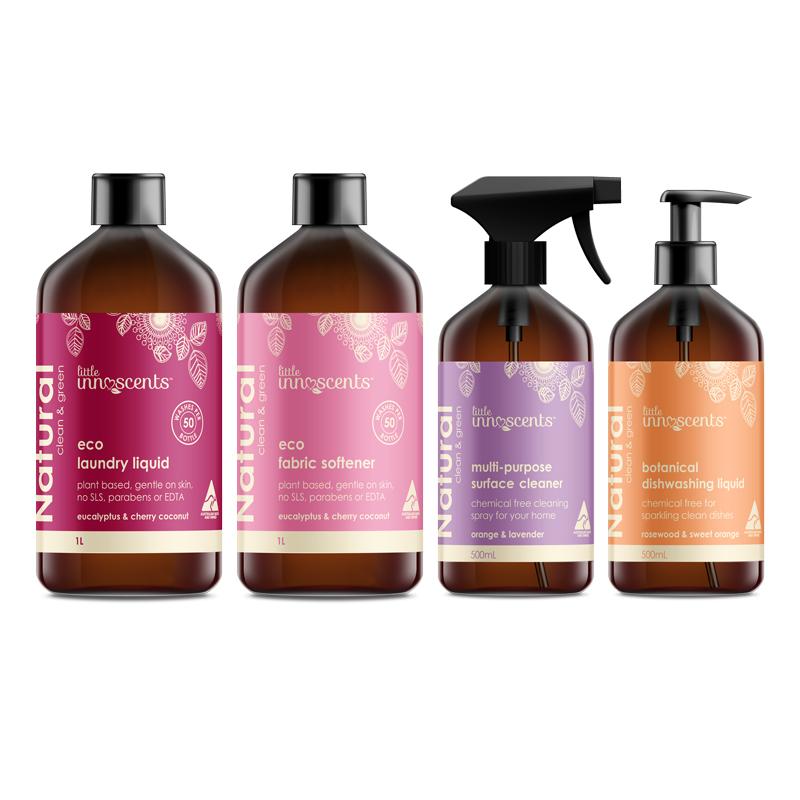 From baby bath and moisturiser, to aromatic essential oils, to laundry and cleaning liquids, you’ll love every product in our growing natural range. Every Little Innoscents product is specially formulated to protect, nourish and nurture your child’s skin and wellbeing from the outside in, with ingredients sourced directly from nature. We select ingredients that are as gentle on your newborn’s bottom as they are on our beautiful planet. We care about the health of your family today and tomorrow. Why Little Innoscents natural baby products?